We spend our days designing dreamy websites, and we’ve learned that you shouldn’t trust just anyone with your content. Content is what makes you memorable, and it’s never a place to cut corners! That’s why, when we were looking to tune up our website copy a few months ago, we called in Kelley Gardiner Content & Copy to guide us to our happy place. 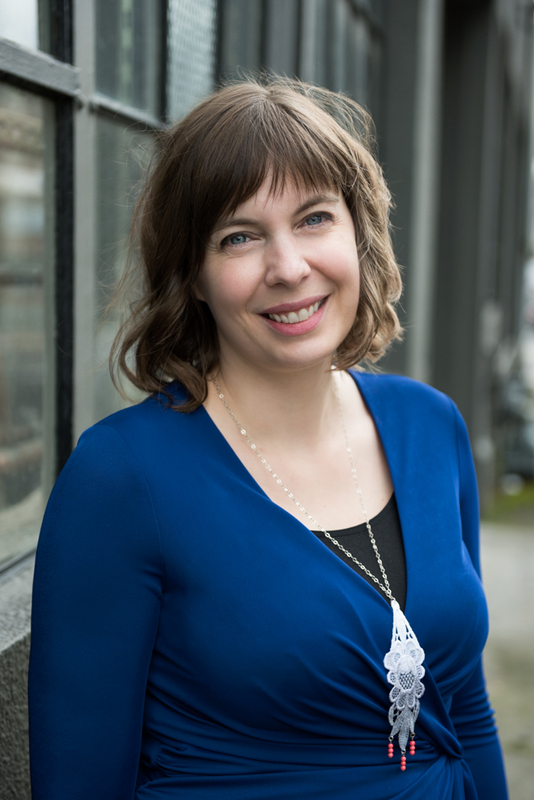 Kelley generously took some time to chat with us about diving head-first into self-employment, reaching your ideal clients, where to find some extremely tasty baked goods, and how to know when to call in some professional copywriting help. UPSWEPT CREATIVE: According to your Instagram, you “quit your job to become a writer.” What were you doing before this? Have you encountered any noteworthy and/or mundane challenges in making that transition? KELLEY GARDINER: In short, I was sitting at a desk with other people telling me what to do. Before that gig, I was creating programming for a continuing education program department at a community college in Indiana. (Then, we moved back to Portland in a recession.) Things I miss about working in an office: the food carts across the street. People hardly ever tell me if my outfit is cute. It’s hard to keep myself on track, as distractions are everywhere, and other than client deadlines, nothing really HAS to be done. That newsletter can go out a few days late, and no one but me will know, you know? It’s also a challenge going into a field that requires putting a lot of yourself on the line and dealing with rejection. Desk jobs might be soul-crushing, but they usually require little emotional energy. Running your own gig takes a lot. UC: What are some strategies you use to reach your ideal clients? KG: Talk to them. Show them what a catch I am. The right people will pick up what I’m laying down. Right now, I’m using a bunch of strategies: blogging on kelleygardiner.com with relevant, fun stuff, guest blogging to boost my quote-unquote authority, having lots of coffees with people, networking events. I’ve actually gotten to the point where I kind of like networking, because I realized that it’s not sleazy. It’s about talking to people, learning about what they do, and seeing how you can help them. Sometimes, you can help people by writing words for them in exchange for money. That’s a valuable service, and no one has to buy unless they really want to. UC: We love the updated website copy that you wrote with us — how the heck did you capture Upswept’s brand voice so authentically? KG: Luckily for me, you have a strong brand voice that I was able to plug into! My biggest job was pulling out messages that needed to be coaxed a little further. Like about how awesome you are. That’s an important one. UC: Let’s say I’ve got a website for my business and I know it needs a copy overhaul, but I don’t think I have the budget for it and I want to try to rewrite myself. Do you have any advice for me? Where do I start? How do I know when it’s time to call in a pro? KG: Just write it! That’s always the easiest and hardest writing advice. Getting started is the hardest part. Remember the basics: what your customer wants, and why you are the best person to deliver it. Write it. Leave it for two days. Edit it. Have a friend come look at it. Are people confused about what you do after they read your website? Are you getting the wrong kind of leads? Are people not taking the actions you want? You might need help. To be honest, most people don’t have the cash for professional copy when they’re first starting out. When you’re ready to go to the next level, give us a call. I also happen to have super affordable consulting packages to help people get their brains wrapped around projects like this. I’m here to help! UC: Do you have a preferred coffee shop or similar for working away from home? KG: More like a small rotation of coffee shops. I’ll shout out Jet Black, my walking-distance vegan coffee shop extraordinaire, with the friendliest staff and usually cute dogs on the patio. Then there’s Hungry Heart Bakery in Montavilla. Get the banana walnut muffin and/or the chocolate chunk cookie. No, seriously. They are both extremely good. UC: Is this the right time for the story of your book about roller derby? It’s extremely the right time! Somehow, it’s been six years since I played roller derby and the book is out of date/not being published. But, lately, I’ve been thinking about how it’s exactly the kind of writing I want to do more of. Taking something overwhelming and breaking it down to easy-to-follow steps. Encouraging people to do the thing. Writing that’s easy to read and keep reading. Helping people! I don’t want to literally hold your hand, because you know, sweaty, but I want to make hard things easier and more relatable. If you’d like Kelley to make hard things easier for you, give her a holler via her website. We definitely recommend it!